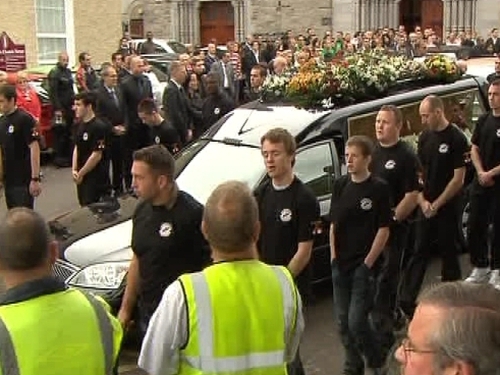 Hundreds of people have attended the funeral Mass in Navan of Olympic champion Darren Sutherland. Prominent figures from the world of sport turned out to pay their respects to the 27-year-old. As the funeral cortege made its way to St Finian's Cemetery locals in the Co Meath town stood in silence. The mourners included Minister for Arts, Sports & Tourism Martin Cullen and the Aides De Camp for President Mary McAleese and Taoiseach Brian Cowen. In his homily, Fr Declan Hurley said that while Darren's family were very proud of his boxing achievements, they would swap all those achievements to have the son and brother they love back in their arms. Fr Hurley said everyone is silently asking why, because many fear there is no answer to that terrifying question. An emotional group of friends and family said the prayers of the faithful as gifts including Darren's Olympic medal and his boxing gloves were brought to the altar. Mr Sutherland's manager Frank Maloney did not attend today's Mass because he had been advised not to travel having undergone heart surgery. However he was represented today by his wife and mother. 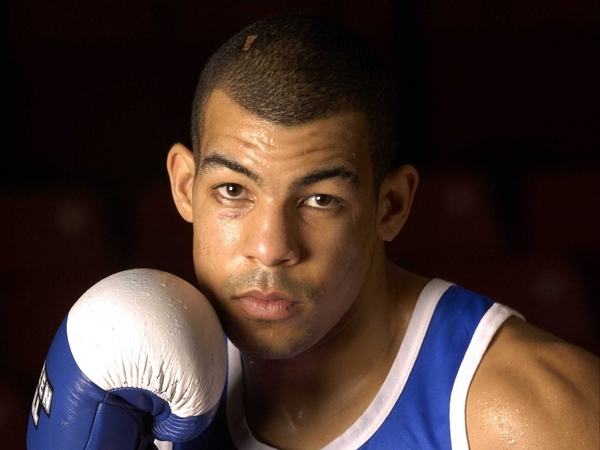 The fighter who won a bronze medal at the Beijing Olympic Games was found dead in his London flat by his manager Frank Maloney last Monday. It is believed that he took his own life.